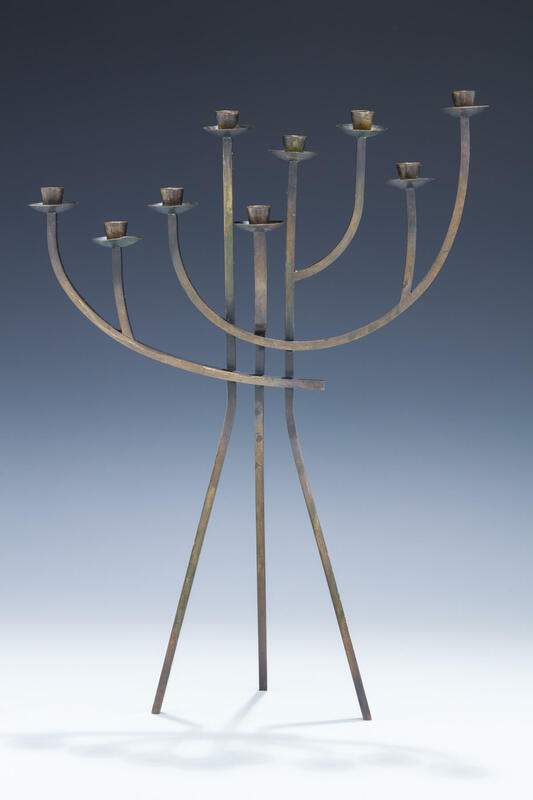 A BRASS CANDELABRA/MENORAH BY LUDWIG WOLPERT. United States, c. 1960. In abstract form and on three legs. Apparently unsigned. 14.2” tall.